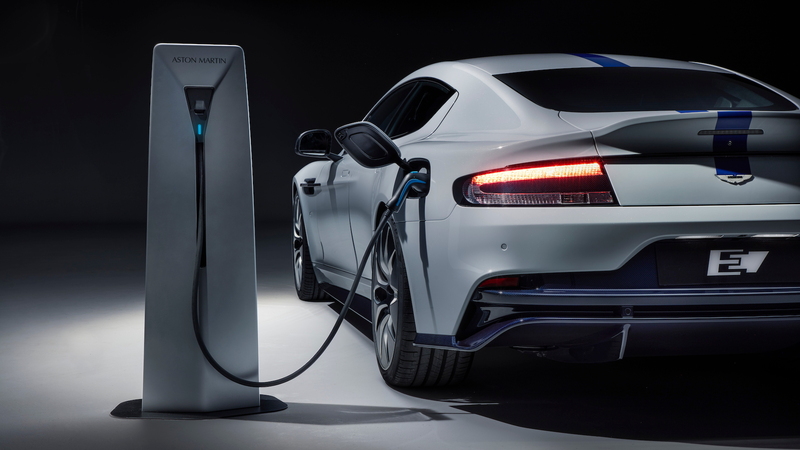 Aston Martin on Tuesday revealed an electric version of its Rapide sport sedan at Auto Shanghai 2019. The car, dubbed the Rapide E, is limited to 155 units for worldwide sale and will commence deliveries in late 2019, meaning it will likely arrive as a 2020 model. The Rapide E has been developed in partnership with Williams Advanced Engineering, the Williams Formula 1 team's technology offshoot, and with development now complete we can finally confirm the car features a pair of electric motors at the rear axle delivering a combined output of 601 horsepower and 700 pound-feet of instantaneous torque. Its battery has a 65-kilowatt-hour capacity and comprises more than 5,600 individual 18650-format lithium-ion cylindrical cells. These are arranged in a bespoke carbon fiber and Kevlar battery pack filling up the space where the gas-powered Rapide's V-12, transmission and fuel tank normally sit. 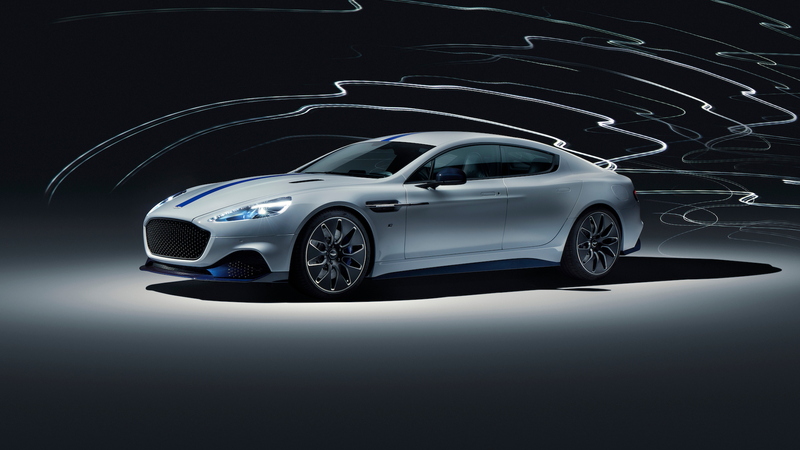 Crucially, the Rapide E features an 800-volt electrical system meaning it will be able to utilize faster charging rates than most EVs. We're talking around an 80 percent charge in as little as 15 minutes. The expected range will be around 200 miles. Throughout the development process, the engineering team have focused on achieving effective cooling of the batteries and motors to ensure consistent performance, while strict weight targets have been realized using lightweight alloys and carbon composite materials. The standard Rapide's aluminium and bonded extrusion body structure remains but many of the body panels are now carbon fiber. Ride and handling have also been crucial. To this end, careful attention has been paid to both the powertrain and chassis. For example, the Rapide E’s twin electric motors drive through a limited-slip differential, which combined with revised spring and damper rates should ensure dynamic qualities on par with the V-12-powered Rapide. A driving modes selector offers GT, Sport and Sport+ modes. Subtle changes have also been made to the body to suit the new electric powertrain. The traditional metal vanes of the grille have made way for a sealed-off honeycomb structure, while the underbody section has also been redesigned to further streamline airflow around the car. A larger rear diffuser has also been added, as have more aerodynamic wheels with low rolling-resistance Pirelli P-Zero tires. All the tweaks add up to an 8-percent improvement in aerodynamic efficiency. Performance claims include a 0-60 mph time of under 4.0 seconds and a governed top speed of 155 mph. Impressively, the car should also have enough passing thrust to power from 50 to 70 mph in just 1.5 seconds. Aston Martin is keen to stress that these figures won't be restricted to a narrow window only when the batteries are fully charged. The car has been developed so it can handle a full lap of the Nürburgring without emptying the battery. Aston Martin has also ensured that the car is capable of repeated hard acceleration and braking. 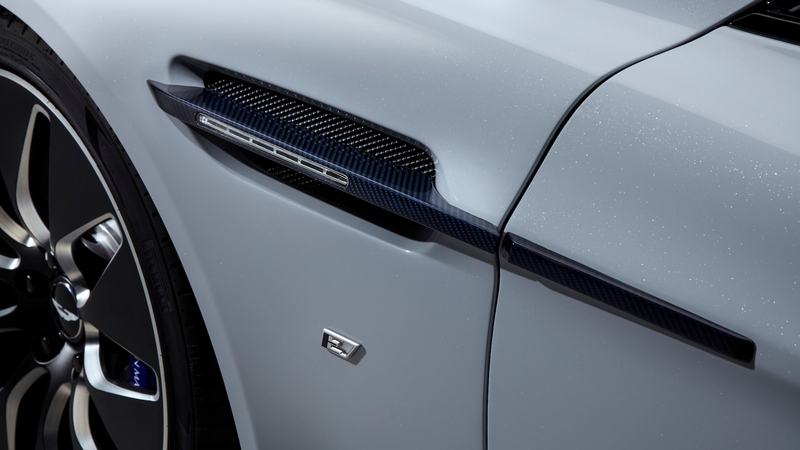 The Rapide E will be the first car to be built at Aston Martin's new plant in St Athan, Wales. The site is the new electrification hub for the automaker and will later be responsible for the revived Lagonda brand. 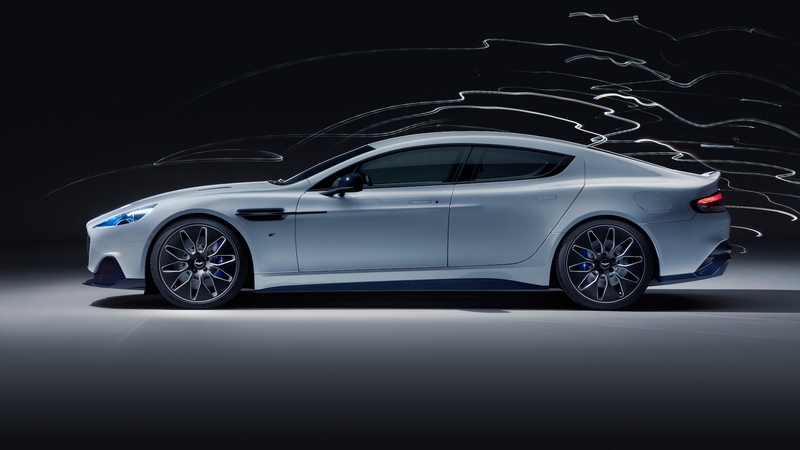 The Rapide E isn't destined to be a permanent fixture in the automaker's lineup since the whole Rapide line is due to be discontinued after the 155-car run. It isn't clear yet if the car will even be offered in the United States. 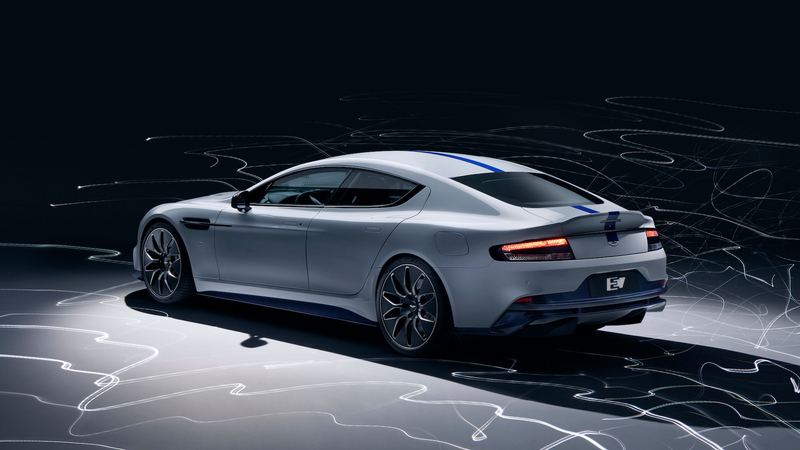 Rather, the Rapide E serves as a proof of concept as Aston Martin prepares the launch of more EVs under the Lagonda brand. The first modern Lagonda is expected to be an electric SUV due in 2022.